Architect and designer, he opened his own firm in 1972. 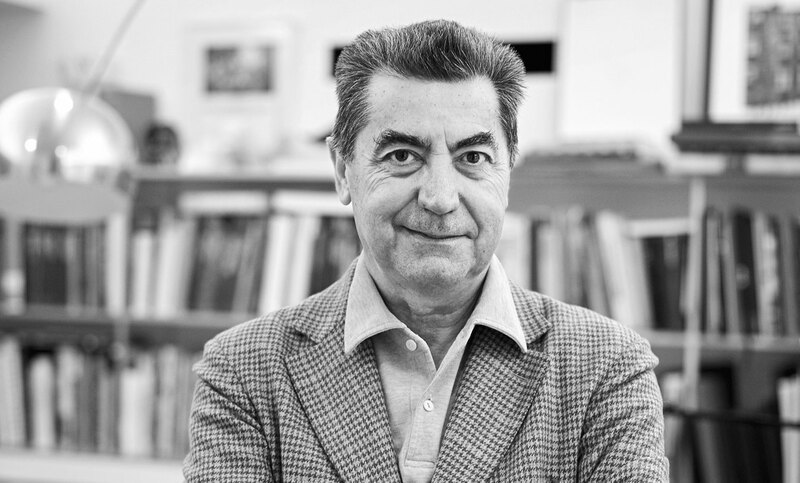 Antonio Citterio is currently collaborating in the industrial design sector with Italian and international companies such as Ansorg, Arclinea, Axor-Hansgrohe, B&B Italia, Flexform, Flos, Hermès, Iittala, Kartell, Maxalto, Sanitec (Geberit Group), Technogym, and Vitra. He received the Compasso d’Oro-ADI award in 1987 and 1994. In 2000 he founded a design company with Patricia Viel. This operates on an international level, developing architectural and interior design projects. In addition to kitchen innovation, another strategic objective for Arclinea is that every new product must fit with the others, in line with an original system concept. 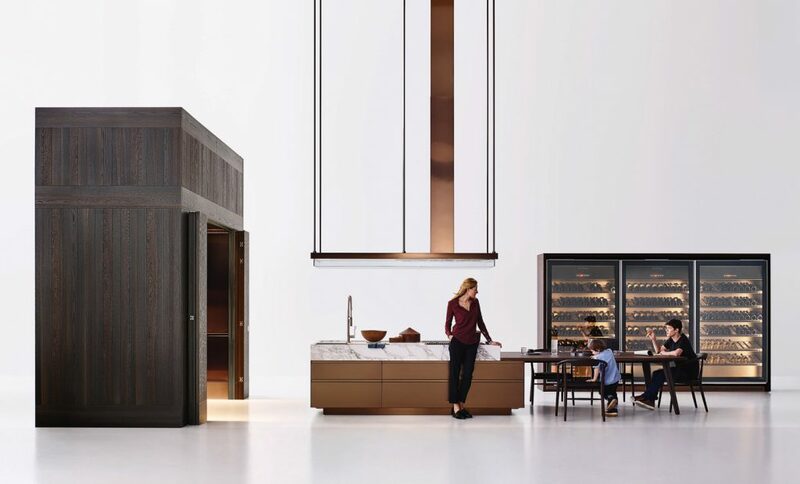 Collaboration with Citterio led to the birth of the professional kitchen (with Italia, way back in 1988, and Artusi in 1997), of the convivial room that is more than a traditional dining-room (Convivium, 2002), later enhanced with a wonderful solid monolith (Lignum et Lapis, 2008), through to a new idea of flexible convivial space, with Spatia (2010) and Principia (2016/8). 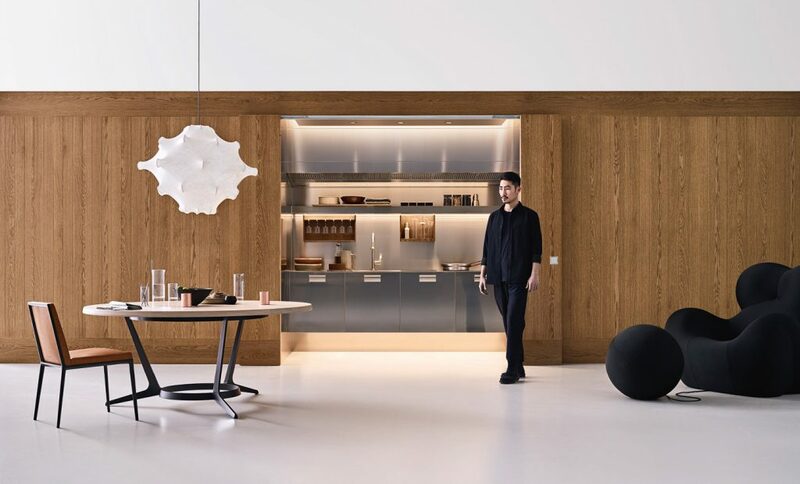 All innovations that follow and anticipate the evolution of cooking spaces, and all at the service of a design approach that embraces change, with which Arclinea intends to keep alive the great Italian tradition, reworked thanks to more precise design of functions, materials, shapes and everyday living spaces. Trends and habits in the home change, and yet the kitchens you designed many years ago for Arclinea are still being produced. How have these products resisted so long on this very sophisticated market? It’s true, we started working together a long time ago, in 1986: The first product was released two years later and since then we have followed this path of research and development, together. 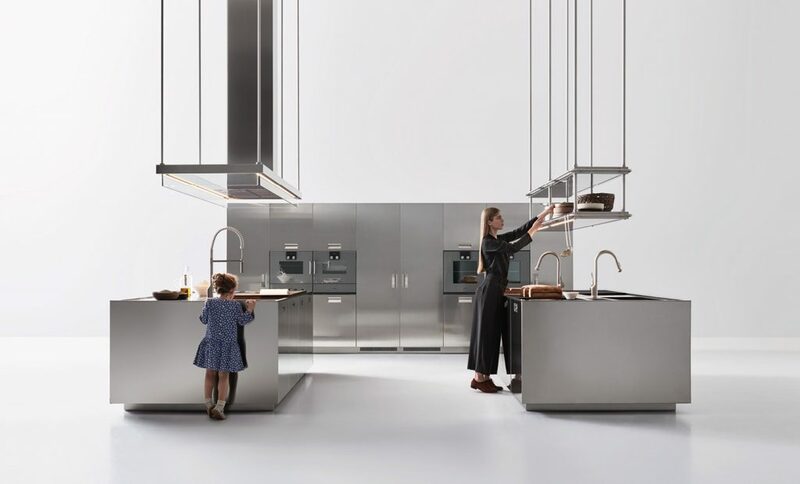 We immediately laid the foundations for an industrial product strategy, designed for “shared” components, standard elements that can be combined to suit different needs and create a personalised kitchen. This does not mean abandoning design creativity, because our definition of these shared components has moved at the same pace as our innovation of types. So that first product, called Italia (thirty years old this year and still in production! ), already featured an evident professional concept: it declared its detachment from classic “kitchen unit” technology with the use of steel. This is why we turned to manufacturers who supplied restaurant kitchens and therefore had the knowhow we needed to create a model that is still an evergreen today thanks to its perfection. How does your experience as an architect guide you in designing areas for food preparation and eating? Does it provide inspiration for the different kitchen concepts you have devised? Let me go back to what I said about types. In my experience as an architect building houses, I have come across many different situations. Personal ones, but also professional: from the homes of friends and clients to hotels or, more recently, entire residential towers. I wouldn’t go as far as to say that I designed a different Arclinea product for each of these situations, but certain experiences have definitely helped me to better understand “where the kitchen was at”, for me, for the public, how it would work, what it represents. And where do you think the kitchen is headed today? The quality of your kitchens is not just formal and environmental, it is also technical. With which products do you think you have managed to successfully combine these three design elements? How important are details and materials for achieving the best results? I naturally think that we have managed to combine these various elements well with all the Arclinea products. We have already talked about how we found the best production technology with steel for the Italia kitchen. Perfecting the manufacturing process has enabled us to recently introduce finishes such as PVD (Physical Vapour Deposition), a special technology that fixes different colours to steel through titanium evaporation. The result is an alloy with an even more resistant surface in warmer metallic hues, which also appeals to those who are not particularly fond of stainless steel. In this way, something that was already a classic, the Italia kitchen, and also later products like Artusi, or the Convivium island, have been adapted to suit a more sophisticated taste, or, even better, they have created one. Functionality, style, aesthetics: where would you put these components in Arclinea design on an ideal scale of values and, more in general, in your approach as a designer? Basically, as with all my other design projects, I always start with functionality. Not that aesthetics or style aren’t important for kitchens, but first we must take care of the practical side of things: organisation of space and the necessary equipment. For example, when we designed Lapis in 2008 – a single-material monolith conceived in stone and then also produced in steel – we spent a great deal of time working on the shape of the huge worktop and its details. Here again, the basic concept was however functional: hosting guests on one side and concentrating all the operational equipment on the other. So these products also include the idea of the “sculpture kitchen”? Or is the spatial concept at the base of every new project always more important? A product with a striking appearance may have a certain dignity, but its components must however follow the idea of a system. We always have future developments in mind, which, rather than hampering already perfected solutions, become a part of an overall system of components. 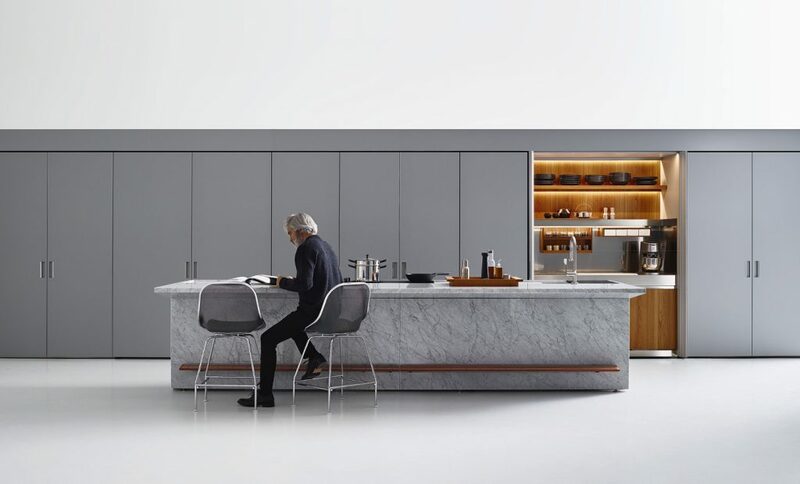 Even with Principia, our latest kitchen, featuring a concept of open and closed units (like the huge architectural volume we are presenting this year in the new Arclinea showroom in Via Durini in Milan), we wanted to integrate all those aspects that make the kitchen a true living space. And I believe that once again we have achieved our goal.